Welcome to Musical Monday when we bring you a song with jewelry, diamonds, gemstones or precious metals in the title or lyrics. 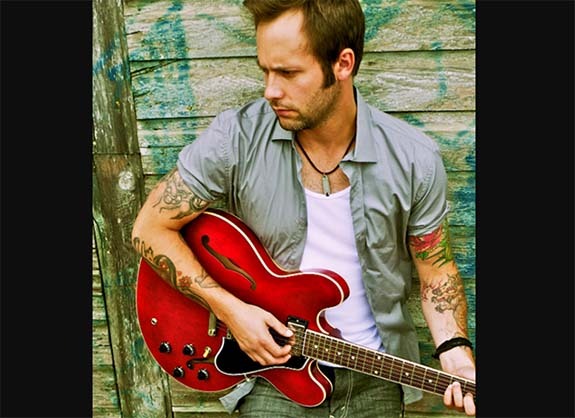 Today, Canadian country music star Dallas Smith finds the girl of his dreams in his brand new release, "Rhinestone World." Country metaphors bring the story to life as he describes a girl who is unlike all the rest. He compares his new love to a little white church in Mississippi, a red Corvette on a Carolina two lane and to a rare and precious diamond. The song made its debut in November of last year and hit #30 on Billboard Canadian Country chart. Smith always had a passion for music growing up, but was afraid to perform in public. Thankfully he finally faced his fears and joined a band consisting of some good friends. By the age of 21, the young man who's said to have one of the best voices in country music earned his first record deal.